LEGO Droid Tales is a funny, irreverent look at the Star Wars universe seen through the eyes of the only two characters to appear in all seven films – R2D2 and C3PO. Meant to be a kid-friendly synopsis of the first six movies (and Star Wars Rebels), this series is a treat for kids of all ages. Long-time fans will relish many of the inside jokes, but you don’t have to be a fan to laugh and enjoy this series. Just don’t take it too seriously. These five short episodes (each one a standard half-hour show length) are NOT an accurate portrayal of the events in the movies so don’t be surprised if the show takes quite a few liberties with Star Wars history. The series is meant to be a general introduction to a new generation of Star Wars fans. For those of us who grew up on these films, it’s a laugh fest as you watch familiar scenes with a humorous twist. I love the scene when Princess Leia is recording a message with Artoo on board the Tantive IV. On the show, she says the classic line, “Help me Obi-Wan Kenobi, you’re my only hope!” But then she follows that with, “That sounded too desperate. Let’s do another one.” Or when the Rebels blow up the Death Star in orbit over Endor and Admiral Ackbar shouts out, “We are the bosses of blowing up Death Stars!” and crosses it off his dry erase board. I love when the Millennium Falcon gets pulled in to the Death Star and after searching it, the Imperial Officer reports to Lord Vader, “It appears to be empty Lord Vader. It’s probably just your typical ship floating through space without anyone in it. See it all the time.” There’s even an homage to Monty Python in the fifth episode Gambit on Geonosis. Just little cute twists like these that make the show so funny to watch. And then there are so many sight gags and physical comedy sketches that you just have to see the show for yourself. The series takes place after the Battle of Endor when the Rebellion has just blown up the second Death Star and it ends before the events in The Force Awakens. In the first episode, C3PO’s best friend, R2D2, is taken captive by a MYSTERIOUS CAPTOR! As C3PO desperately tracks down his friend, he finds himself relating their story to different people along the way and that’s how the story unfolds. 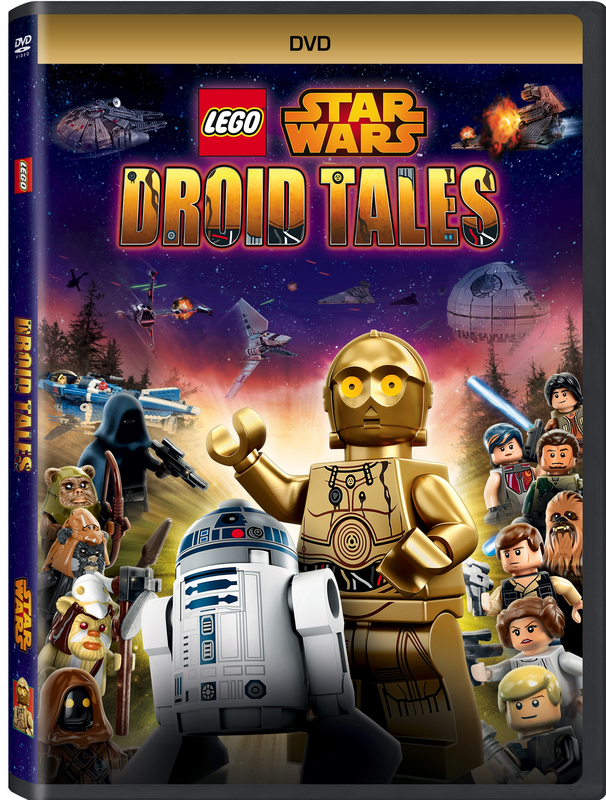 Droid Tales will be available on DVD as of March 1st so be sure to pick up a copy. Thanks to Disney, I received a preview copy to review before it’s release. The DVD doesn’t have any extra bonus material on it but it does come with a nice set of three collectible cards. They are not reproductions of the cards you see in the third episode, Mission to Mos Eisley. Now THAT would have been super cool! 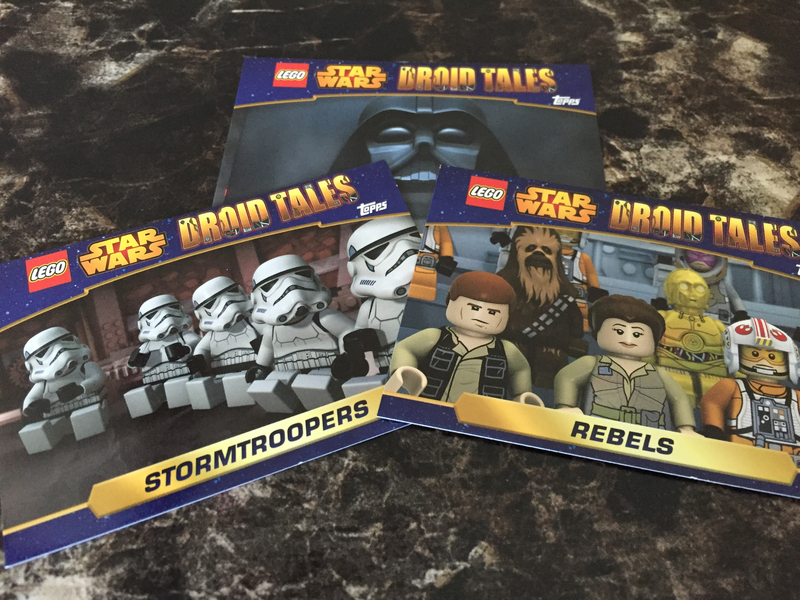 Overall, Droid Tales is a welcome addition to any Star Wars fan’s collection and worth picking up!